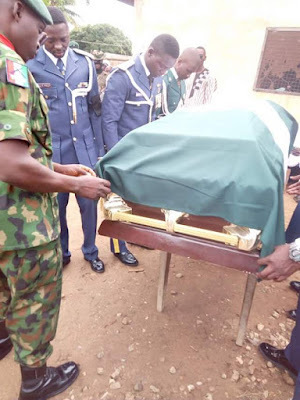 Army Captain Dogari Kefas Apyeyak, who was killed by armed robbers two months to his wedding, has been buried in his country home in Ussa LGA of Taraba State with full military honors. The officer was shot dead along Kaduna-Brinin-Gwari road on September 10, on his way to Ilorin where he was attending a French Course at the Nigerian Army School of Education Sobi Barracks in Ilorin Kwara State. 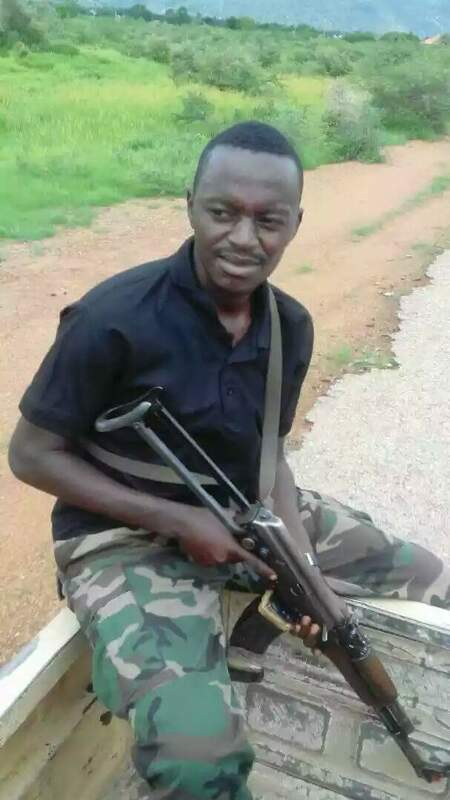 Born on 31 July 1984 in Kano, the late officer hails from Lissam Ussa LGA of Taraba State. He attended Air Force Primary School Kano from 1988 to 1997. He had his post primary education at Nigerian Military School Zaria from 1997 to 2003 before proceeding to Kaduna Polytechnic to study Science Laboratory Technology. 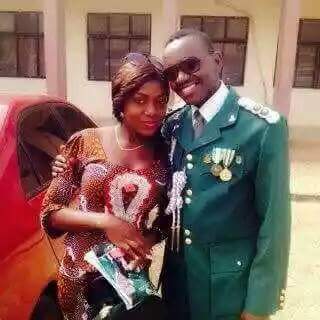 He gained admission into the Nigerian Defence Academy in 2006 as a member of the 58RC. 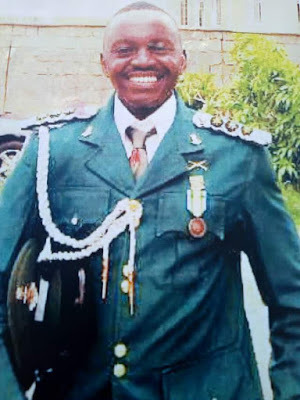 He graduated in September 2011 with a B.Sc in Biological Sciences and was commissioned to the rank of Second Lieutenant and posted to Nigerian Army Corps of Artillery and was deployed to 342 Artillery Regiment and appointed Troop Commander from September 2011 to September 2013. He was promoted to lieutenant in 2012 and subsequently Captain in 2016. He has held several appointments. The late officer has also attended several courses some of which include: Young Officers Course Artillery, Intelligence course at Nigerian Army School of Intelligence, LOC Officers Course at Nigerian Army School of Artillery. He has served with the United Nations African Union Hybrid Missions in Dafur with NIBATT 43 as a Platoon Commander from December 2013 to January 2015. He was then posted to 122 Task Force Battalion and appointed Platoon Commander. 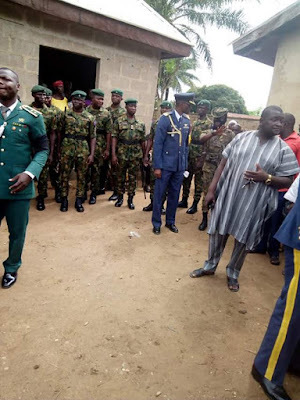 Thereafter, to 192 Battalion in Gwoza, Borno State with Operation Lafiya Dole and appointed Adjutant from 2015 until he was released to attend a French course. 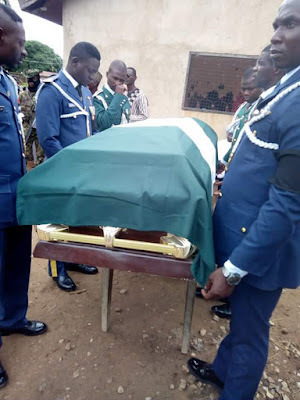 He was on a French course in Nigerian Army School of Education in Ilorin, when he met his untimely death along Birnin Gwari road on his way to Ilorin. 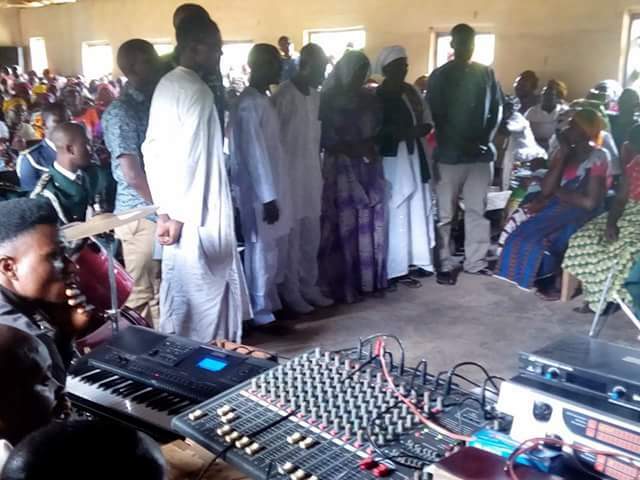 Left to mourn him are his lovely parents, brothers, relatives and his wife to be whose marriage was fixed for November 2017.